Our Club organises an ANZAC Service for schools across Maroondah. It encourages students to discover Australia’s history and to consider the importance of pursuing lives of peace. Students play an active role, laying wreaths and floral tributes and providing the music for the Service. The inaugural Maroondah ANZAC Schools Service was held in 2011, with over 440 students and teachers taking part. Last year the day the service was held on Wednesday 18th April, 2018. We had 700 children from 25 of the 31 schools in the Maroondah area to participate. 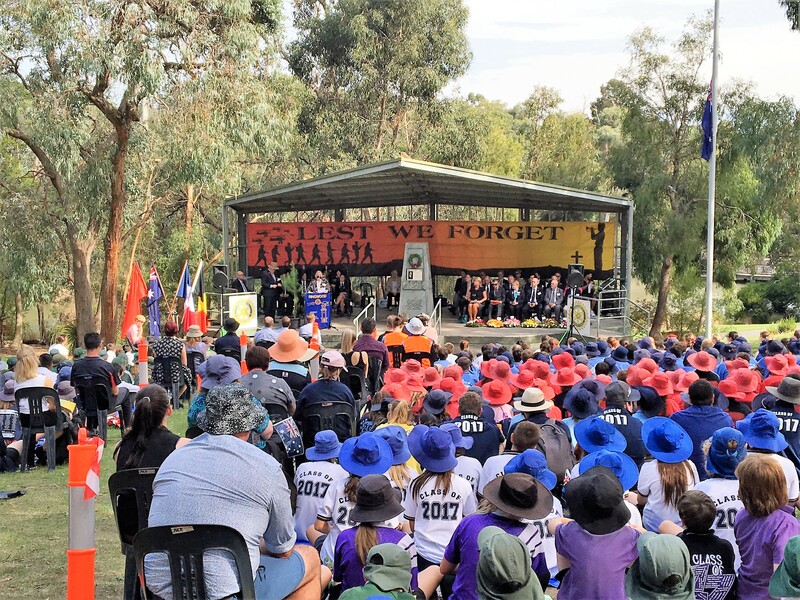 We hope all children left the service with a greater understanding of what their forefathers sacrificed for Australia’s freedom. We greatly appreciated the Rotary Club of Croydon’s assistance on the day.